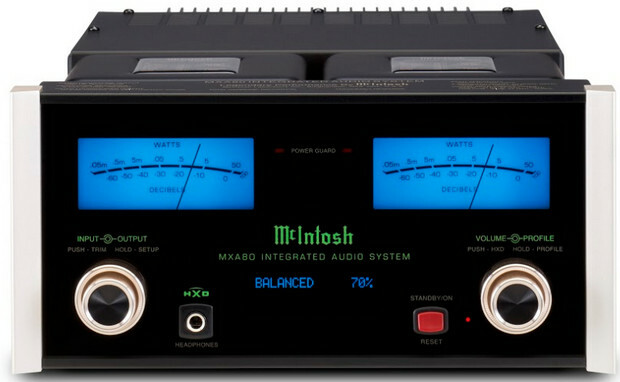 At Wirefresh we’re absolute suckers for anything with a LED meter or two, and this retro-styled, high end offering from US audiophile specialists McIntosh packs a matching pair in a natty shade of blue. 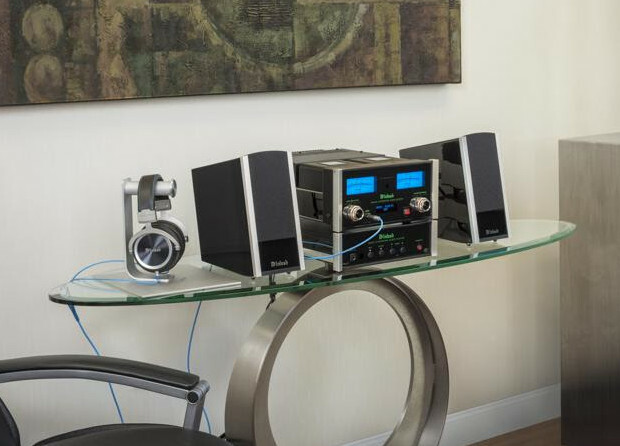 The company’s new MXA80 Integrated Audio System is aimed cleanly at the kind of people who probably buy diamond encrusted iPhones or drive cars that have a whole herd’s worth of leather inside. We’re talking uptown top ranking here, as in £7,500 for the compact system. And no, that price doesn’t include a year’s free supply of beer. So what do you get for your wheelbarrow o’dosh? 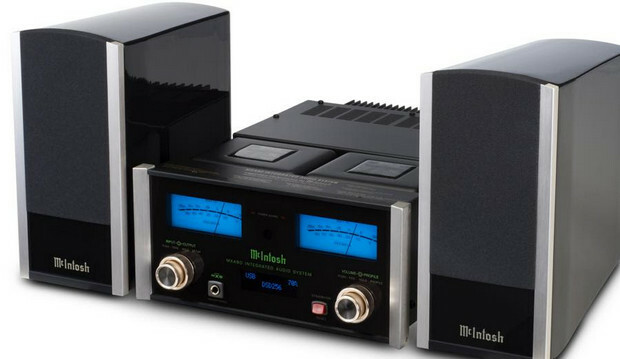 Well, you get a rather lovely looking black box dominated by those lovely LED meters, while inside lurks a high-resolution-compatible digital to analogue converter (DAC) and a high-performance 50-watt stereo amplifier, backed by a pair of aluminium chassis two-way desktop speakers. Listening to this would be like floating in a zero gravity bubble bath while sipping on the finest plonk. 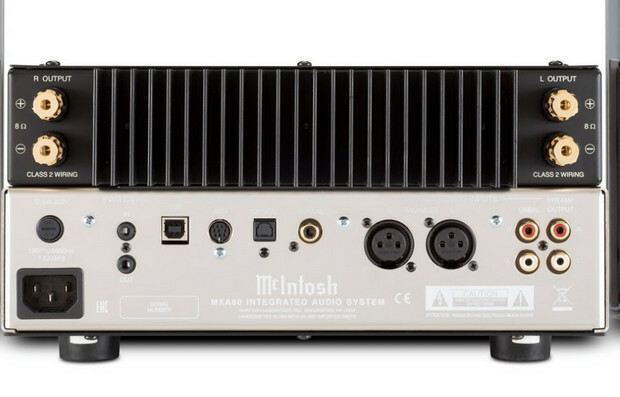 The MXA80’s four digital inputs let you hook up your (probably) lo-fi smart devices and home tech to the system, while two additional analogue inputs cater for existing home audio equipment. Compatible with all the current high-resolution audio formats, up to studio-grade quality music files (32-bit/384kHz), the amp’s high-quality onboard DAC also supports DSD and DXD files, adding useful future-proofing for today’s digital streaming.